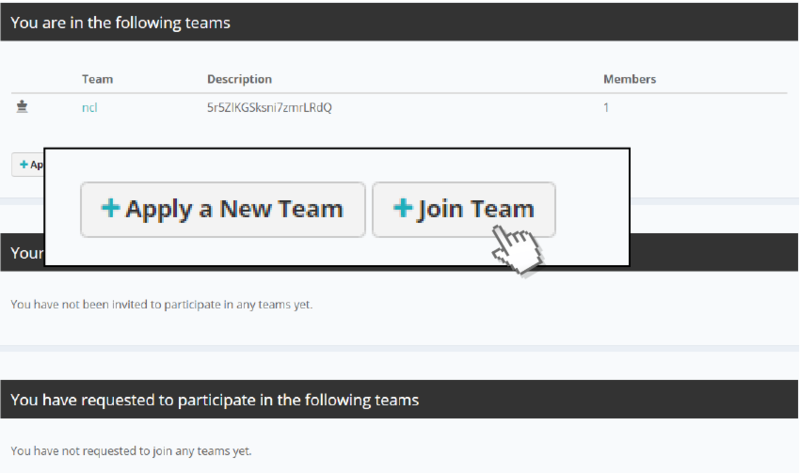 Go to team dashboard and click the join a team button. Fill in the team name. After that, submit to the team owner and waiting him/her for approval.